Choosing a driving tour instead of a group excursion is a great option, especially for those who are traveling as a family, with friends or alone, as you will get an opportunity to explore various destinations and attractions at your own pace. Self-drive tours will literally put you in the driving seat, hence you will be able to make decisions that suit your interests and tastes. Nowadays, there are many travel specialists who offer tailor-made self-drive tours in western Canada that will suit your travel plans. This article will list a few self-drive tours to consider for discovering western Canada. However, if you require further information related to self-drive tours, we encourage you to contact a few trusted travel operators first, before making a decision. This is a week-long self-drive tour of the Canadian Rockies that starts in Calgary and ends in Vancouver. You will be able to encounter the beauty of the region, including the scenic Jasper National Park, plus the highlights of Banff and Lake Louise. You will start your sightseeing adventure in Calgary, pass through the icefield parkway, and culminate your journey at the sun peaks of Vancouver. After this week-long adventure in the Rocky Mountains, you will definitely need to plan another visit to the region. If you’re thinking of treating your family to a holiday of a lifetime, then this journey of the western wonders is the perfect getaway this coming holiday. The 13-night drive takes you from Calgary to Vancouver, and along the way you will enjoy activities such as boat cruises, horse riding, mountain climbing, among other activities. 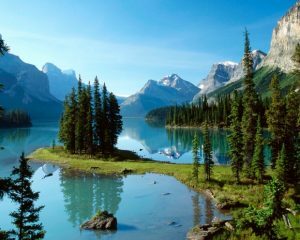 The national parks in the west of Canada are known for their beautiful scenery and your family will have the best time ever. To keep the group entertained, there are a wide range of outdoor activities, such as boat and helicopter rides, chilling out in the hot springs, as well as nature hikes. With the fresh and clean Rocky Mountain air, combined with the family-friendly accommodation facilities, you will all have fun during this trip. This is an eight-day self-drive that sets to explore what Vancouver Island has to offer; ranging from the cultural and natural highlights to the vast wildlife species in the region, which include whales, eagles, bears, and many others. Along the journey from Victoria to Vancouver, you will be able to see some of the most captivating scenery that British Columbia has to offer. The Sonora resort, located on Vancouver Island, is a beehive of activity that will easily draw your attention as you explore the western region of Canada at your own pace.